If you’re interested in having a drinking water and water hardness test professionally performed at your home in Fresno, CA, turn to the water treatment experts at RainSoft. We’ve been making good water better for homeowners since 1953, and we make the water testing process easy. Instead of fumbling with a generic, do-it-yourself kit that is easily tainted and might not even check for the specific contaminants that are unique to your area, you can leave the testing to an authorized RainSoft dealer. A member of our experienced team will visit your home at your convenience, test your water at your kitchen tap, and obtain reliable results for your immediate review. Perhaps best of all, we perform this service completely free of charge. A water hardness test is particularly important to owners of private wells in Fresno, California, which, unlike municipal water supplies, are not regulated by the U.S. Environmental Protection Agency. But, if your water is supplied by a public source, a water test is still a good idea. It’s important to keep in mind that the goal of the existing regulations is to ensure that the water is safe to consume. 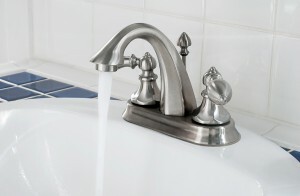 There are many unregulated “nuisance” contaminants that, while harmless to your health, can cause a host of household problems relating to water use. By taking advantage of RainSoft’s complimentary in-home drinking water and water hardness test and customized water treatment recommendations for your home, you can ensure that your family has access to the cleanest, freshest water possible. For further information, or to schedule an appointment for a water hardness test, contact an authorized RainSoft dealer in Fresno, CA. We’ll be pleased to help you learn more about your water quality and how you can improve it.